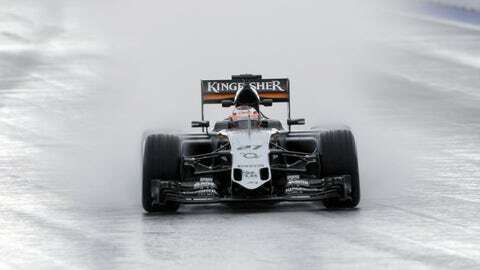 Sahara Force India F1 Team driver Nico Hulkenberg battles wet conditions during the second practice session for the Russian Grand Prix at Sochi Autodrom. 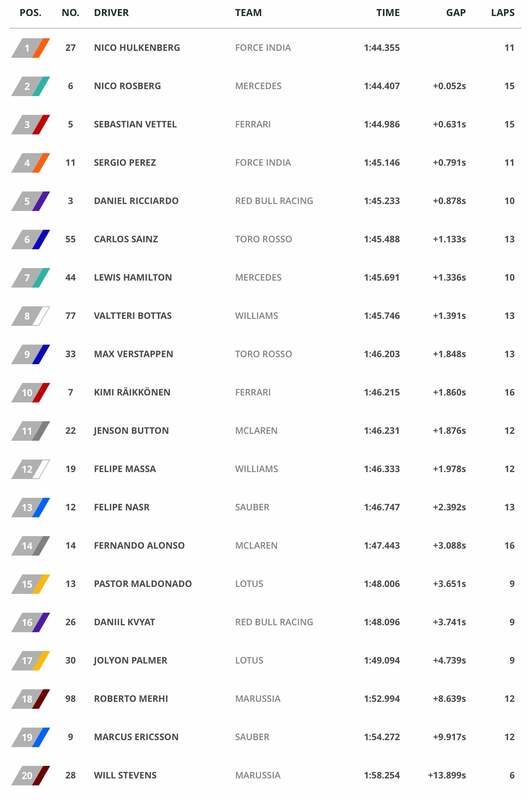 FP1 and FP2 didn’t go exactly as planned for drivers and teams in preparation for the Russian Grand Prix at Sochi Autodrom on Friday. 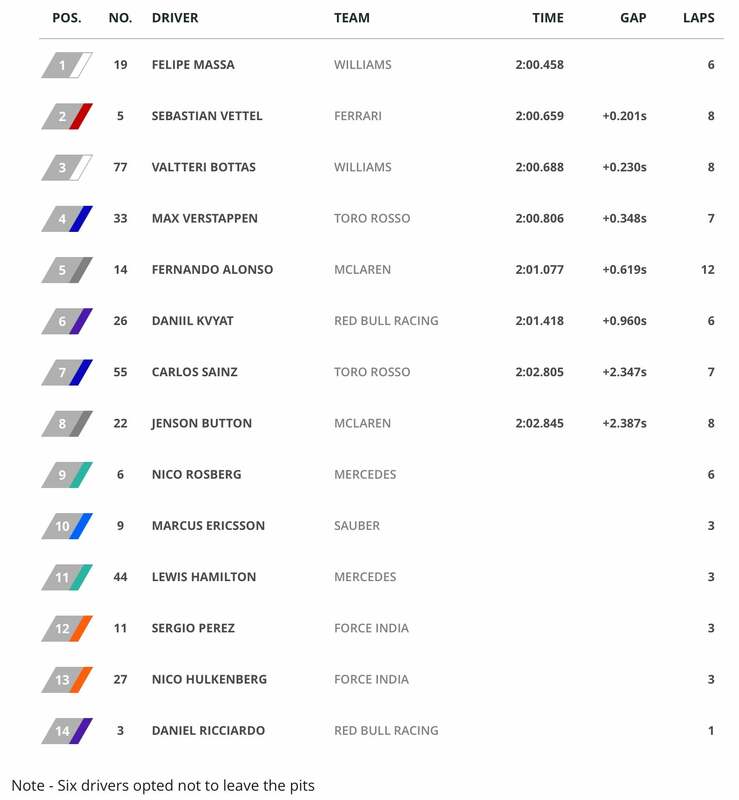 Nico Hulkenberg led FP1, with all drivers participating in the session. Felipe Massa was quickest in FP2, as six drivers decided to not leave the pit area because of wet track conditions. A diesel spill on the track forced a 30-minute delay in FP1, resulting in a loss of practice time for teams when Formula One officials chose to not extend the session. The forecast appears to provide dryer weather for FP3 and qualifying on Saturday.